Food and beverage costs represent one of the biggest expenses in most event budgets, yet meeting planners often do not know enough about catering and foodservice to make informed choices in this area. 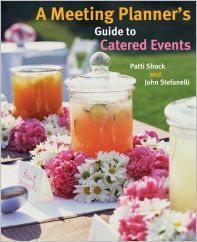 A Meeting Planner's Guide to Catered Events is the first book to address food and beverage management techniques and tactics specifically for meeting and event professionals. Its main purpose is to help you create the best possible catered events by obtaining maximum value for your available budget. Useful as both a comprehensive manual and a go-to guide, A Meeting Planner's Guide to Catered Events features helpful learning tools including "Professional Advice" text boxes throughout, end-of-chapter summaries and review questions, a glossary, and more. Whether you're an event planning student or a professional, this thorough and accessible resource will give you an edge to create that successful and memorable event, all while ensuring the best choices are made to meet your budget.